If you are going through a divorce, separated, or considering a divorce and you own a Texas home together with a mortgage then there will be issues that need to be addressed. The vast majority of loan officers are ill prepared to help effectively and if they are not a Texas lender they may not even be aware of special Texas lending laws the apply to divorce refinancing and lending. A professional divorce team has a range of team players including the attorney, financial planner, accountant, appraiser, mediator and yes, a divorce lending professional. Every team member has a significant role ensuring the divorcing client is set to succeed post decree. A lending professional well versed in the subtle nuances of divorce lending brings the financial knowledge and expertise of a solid understanding of the connection between Divorce and Family Law, IRS tax rules and mortgage financing strategies as they all relate to real estate and divorce. 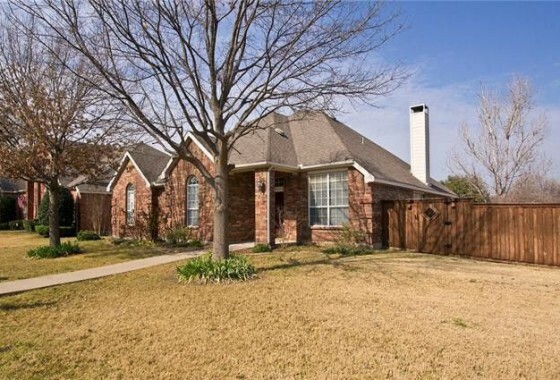 Richard Woodward is a Texas mortgage banker and lender that specializes in helping home owners settle those mortgage issues. His goal is to help you with the task of satisfying the divorce decree as well as providing you with what you need and want. Usually the mortgage on your house is the biggest liability a divorcing couple has to split. Divorcing that home loan isn’t easy and the divorce decree is just the start. In the eyes of the mortgage lender/holder you remain married and together liable for the mortgage unless you sell the house, one of you assume the mortgage, or refinance the terms and conditions of the current mortgage removing a the spouse leaving the home. Even if your divorce decree states that the other spouse will be responsible for the mortgage this will not remove the other spouse from the responsibility of the mortgage. When both spouses signed the original mortgage documents they agreed to be jointly responsible for repaying this loan until it is paid off. Sell the House: one of the easiest ways to remove everyone’s liability from the mortgage when getting a divorce is my selling the home. The proceeds from the sale will first be used to pay off the existing mortgage and anything left over after closing costs will be used to meet the requirements of the divorce decree or separation agreement. Generally, it is agreed that it’s a good idea to sell the house before your divorce is finalized to prevent future fights over the sales prices and proceeds. Plus, neither of you will have to be concerned about making the joint house payment, maintaining the house, or paying taxes and insurances. Refinance the Mortgage: this is the most common method when one spouse wants to keep the home. Generally, the spouse who wants to keep their home refinances the mortgage to take the name of the other spouse off and will have sole title to the home. Mortgage Assumption: there are a few loan programs that allow for credit qualification mortgage assumption. If your current mortgage is either a FHA, VA, or USDA your mortgage has a the ability to be assumed, most other loan programs are not assumable but check with your lender to be sure. If one of the spouses are wanting to keep the home a mortgage assumption could be a good option. A mortgage assumption works very much like a refinance but instead you will assume the remaining mortgage balance plus the terms and conditions of the current mortgage. The other spouse will be dropped from the mortgage liability. Do Nothing: unfortunately, this is the option that many people unknowingly make when they get a divorce. In essence one spouse agrees to keep the home, but the mortgage isn’t changed after the divorce is finalized. This is a risky proposition as all liens placed on the home before and after the divorce are the responsibility of both. If the spouse keeping the house doesn’t pay the mortgage it will affect the credit of the other spouse. Think of all the bad things that could happen and then ask yourself if this is possible can you live with it. Will a Quitclaim Deed remove my name from the mortgage? No, a quitclaim deed transfers any interest in a property from one person to another or transfer the rights to the house from one spouse to another. Can I call my mortgage lender to have my name taken off the mortgage? No, the home loan needs to be assumed, refinanced or the house sold. Can I qualify for a new home loan if my name is still on my old loan? Maybe, if you can qualify with both house payments then yes, otherwise no. Some loan programs will make exceptions depending on the wording of the final divorce decree. Do we have to sell to divide the equity? No, you can refinance the mortgage and draw out funds to pay the other spouse the divided equity. If my name is still on the mortgage and my ex-spouse is responsible for the payment per the divorce decree, will it affect my credit if a payment is missed? Yes, you name is still on the mortgage making you co-responsible. These are only some of the common questions I get, many other are of a legal nature and should be asked of your Attorney. If you have mortgage related questions regarding a divorce please feel free to contact me. Assisting individuals with Divorce and Mortgages is one on my specialties and I have assisted 100s of people just like you with navigating the home loan process during divorce. There are many questions, too many to answer here, particularly surrounding your home and the mortgage. I am available to assist and answer your questions. Read our latest newsletter in our FaceBook Dallas Divorce Resources Group Here or our latest newsletter below. A copy of your previous HUD settlement statement for the property being refinanced. (disclaimer) I am writing from the perspective of a Mortgage Specialist and there is no intent to provide legal advice. 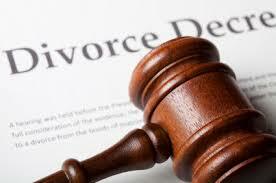 Please seek legal consultation for all matters of your divorce, if you would need to be referred or introduced to an Attorney for your divorce please ask. Disclosure: CDLP is a certification process and designation offered by the Divorce Lending and Real Estate Association, which is a national organization committed to educating mortgage professionals in the unique issues presented by divorce lending. It is not a certification of a governmental agency or organization.